Quality CMM Inspection & CNC Optical Smartscope Measurements -C&H Machine, Inc.
C&H Machine offers only the finest quality machined products. With quality control systems in place throughout our production process, we ensure that each component that leaves our machine shop will meet the most demanding specifications. From our CMM Inspection process and our CNC Optical SmartScope to the leading edge technology used in our production software, we have made quality a priority at C&H Machine. Our Quality Management System is Certified to ISO9001:2008/AS9100:2009 Rev C. Our machining facility’s MCOSMOS software gives us the capabilities to work from customers’ 3D project models, as well as traditional blueprints and CAD documents. These capabilities ensure that our machining processes create parts that match your designs’ dimensional requirements within ten-thousandths of an inch, giving you the highest quality components possible. Our CMM inspection processes verify completed parts are within the customer’s blueprint and specification requirements. C&H Machine uses MCOSMOS software to operate our CMM inspection machines for standard analysis, and DISCUS software for First Article documentation per AS9102. All of our CMM inspection programming is done in-house by our trained and certified CMM operators. 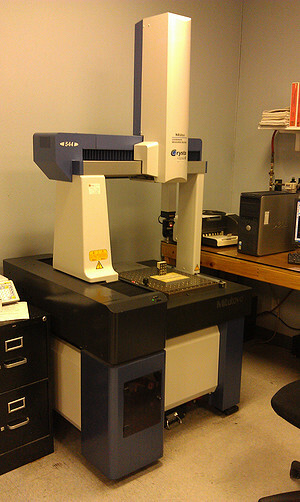 We have two state-of-the-art CMM machines that allow us to inspect parts up to 63” x 36” x 24”. Our most advanced CMM inspection machine uses a fully programmable articulating head for the fastest, most efficient measurements possible. All of our CMM inspection machines use Renishaw TP20 probes. The TP20 probes include articulated sensor heads with hard, medium, and light touch capabilities, to test our finished products with varying levels of pressure. C&H Machine uses four CNC Optical SmartScopes to measure delicate and/or sensitive parts. Our Flash 250 SmartScope and three ZIP 250 SmartScopes measure parts using video measurement and multisensor versatility for highest productivity. They offer touch free inspection processes to prevent potential damage to fragile parts or those with extremely tight tolerances, such as microkeratome Lasik Blades that may be adversely affected by other, more physically-oriented inspection methods. C&H Machine’s CNC Optical SmartScopes work quickly and efficiently, and are ideal for high volume inspections. All of our CNC Optical SmartScopes are equipped with MeasureMind® 3D MultiSensor software and SmartReport® software to accurately record measurement data, generate custom reports, and export data to spreadsheets and databases. 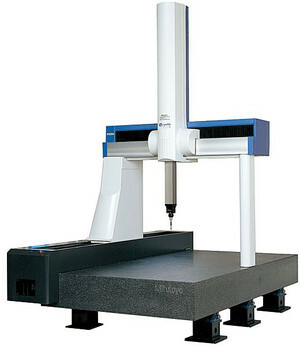 Our Flash 250 SmartScope also includes a laser attachment and a touch probe attachment for added accuracy, and it can operate with CMM inspection capabilities as needed. At C&H Machine, Quality Assurance is an integral part of our production process. We use the finest inspection machinery available to ensure that completed parts and components will meet your exact specifications. Contact us today if you’d like to learn more about our Quality Management System and Inspection methods.